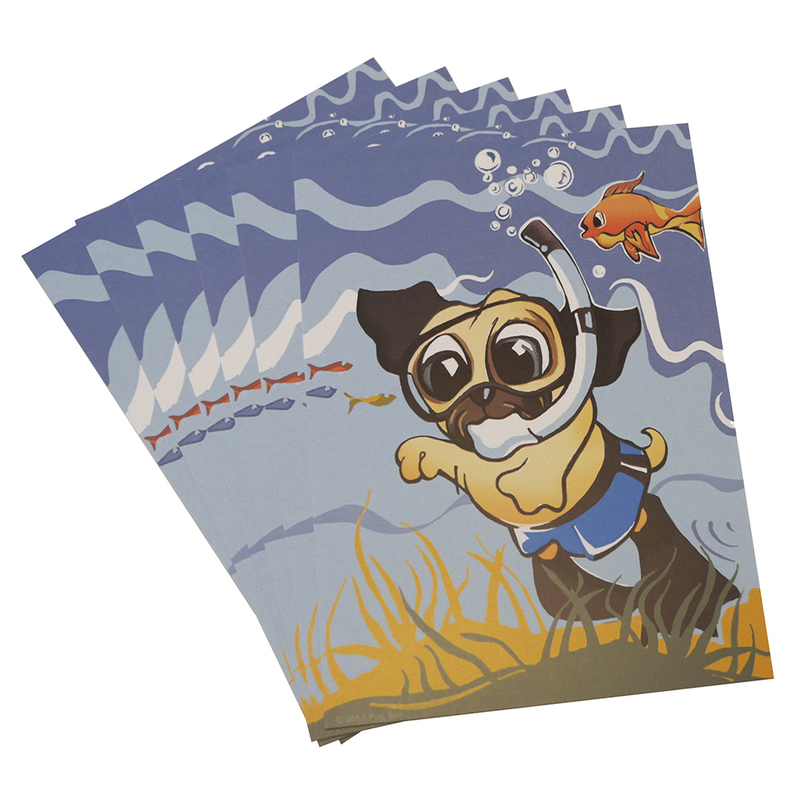 Share these cute snorkeling pug post cards with your friends and family on your next trip! 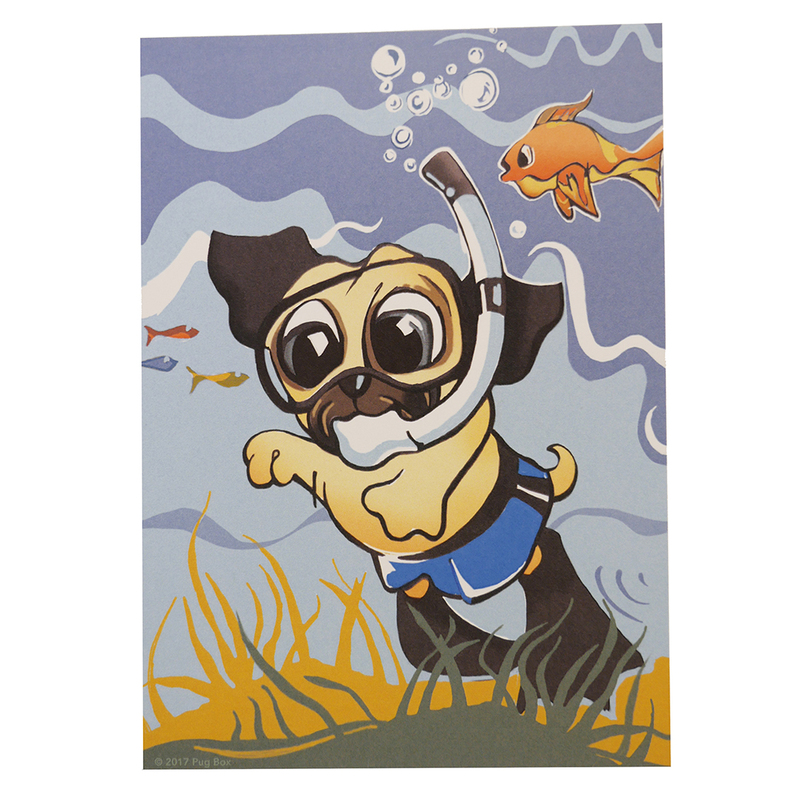 These full-color card stock prints are a Pug Box exclusive. Each pack includes a total of six 5" x 7" post cards.